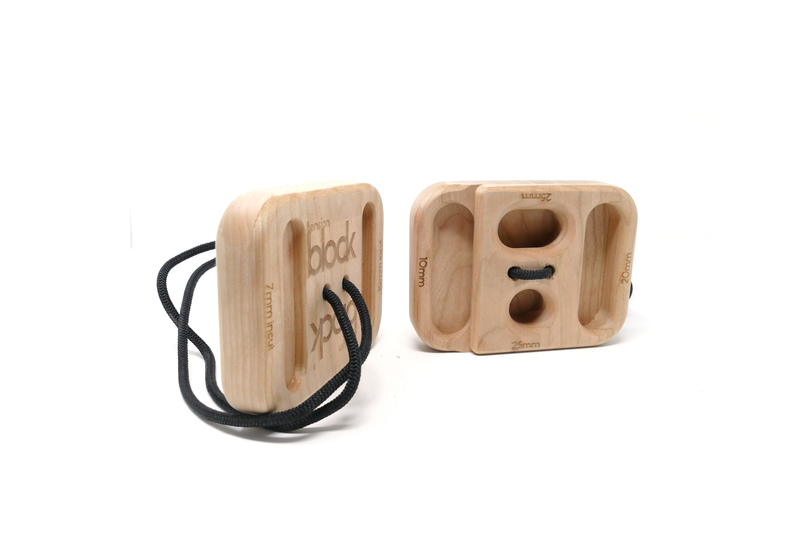 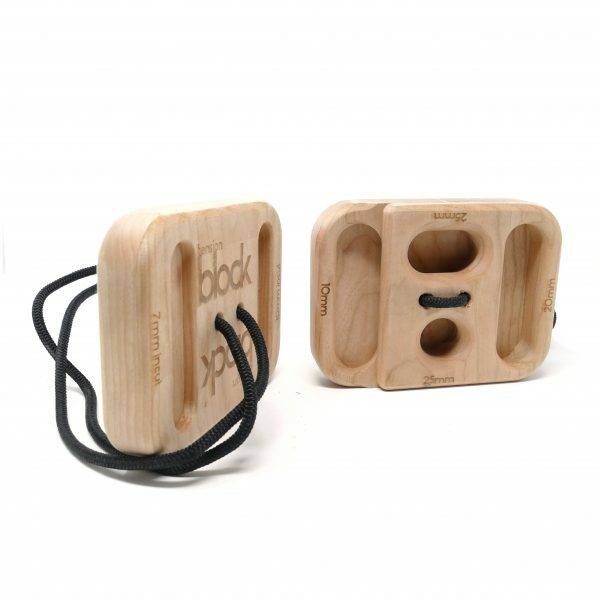 The remarkable Block is designed and made in the U.S.A. by our partner Tension Climbing. 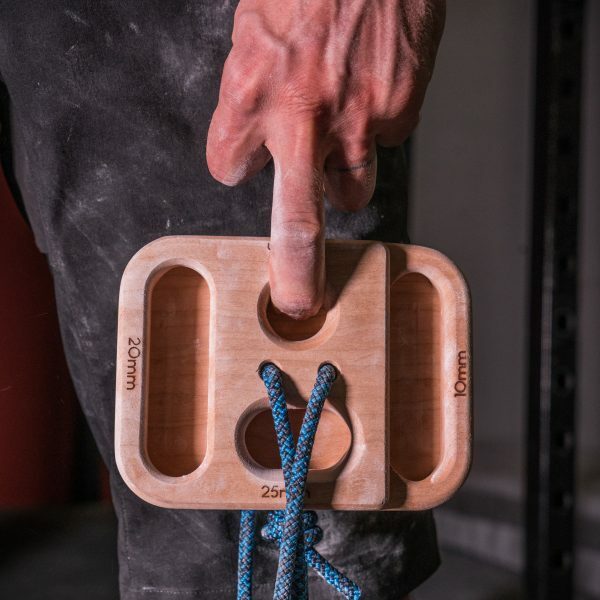 The most versatile piece of wood Tension Climbing produce. 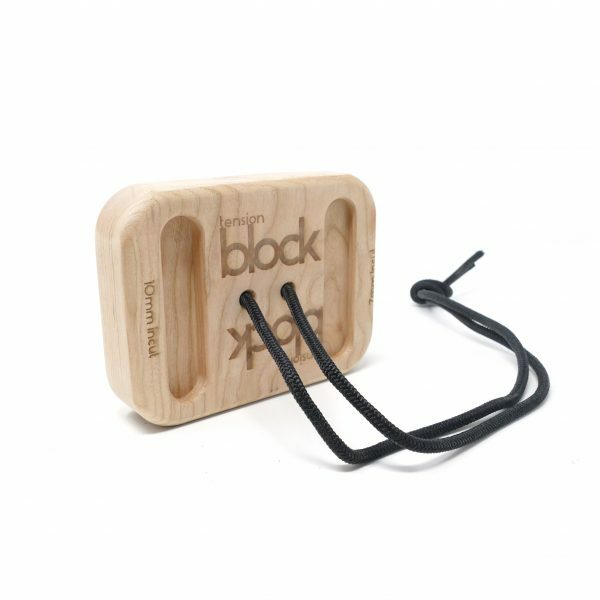 The Block is a compact and portable training too with a staggering amount of uses. 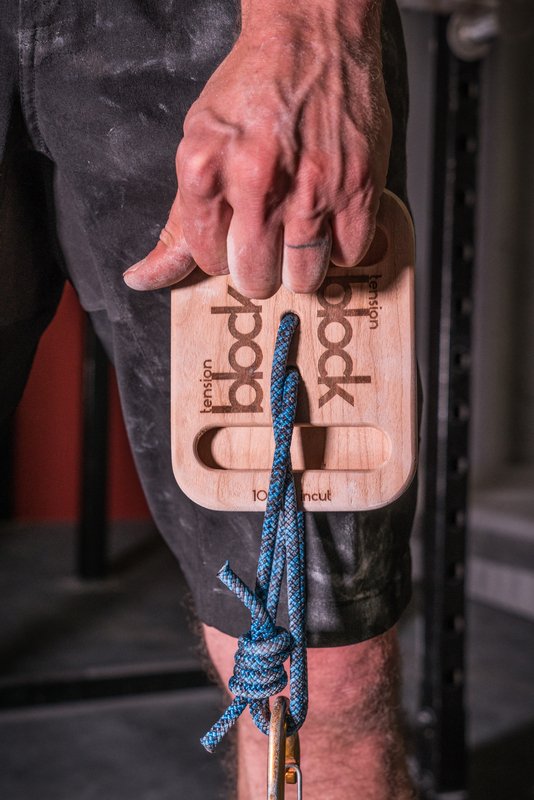 Use the block either individually or in a pair to train nearly any grip type and position. 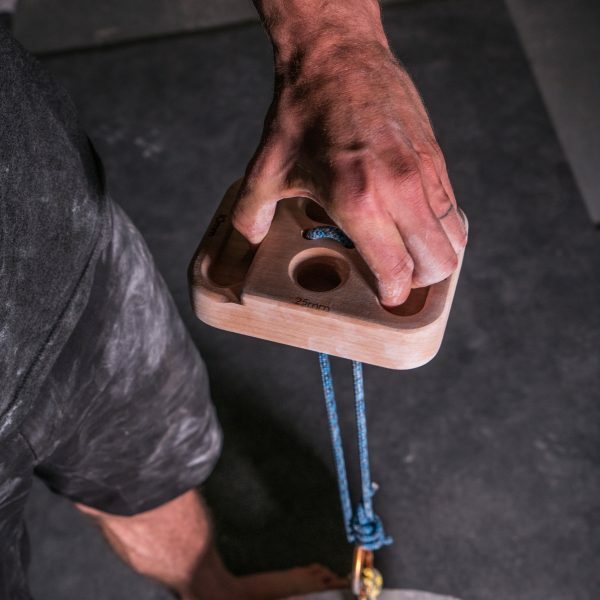 Hang two Blocks and treat them just as you would a traditional hangboard. 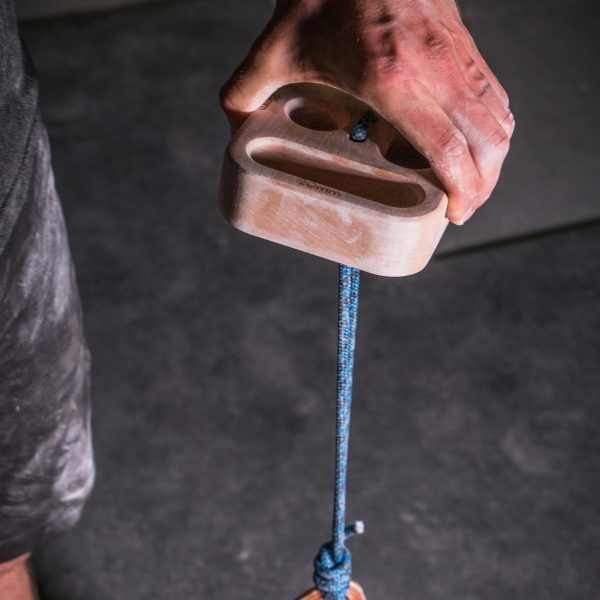 Pick weight up off of the ground with The Block to train individual fingers or grip types that aren’t yet ready for full bodyweight. 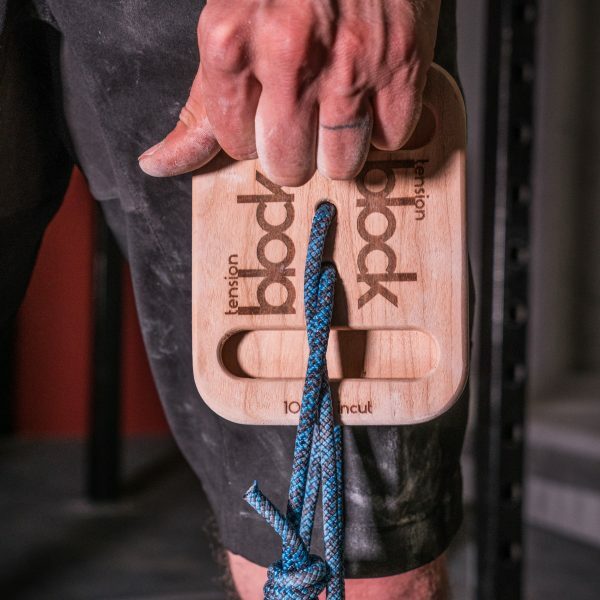 Take The Block anywhere to use as a warm-up tool. 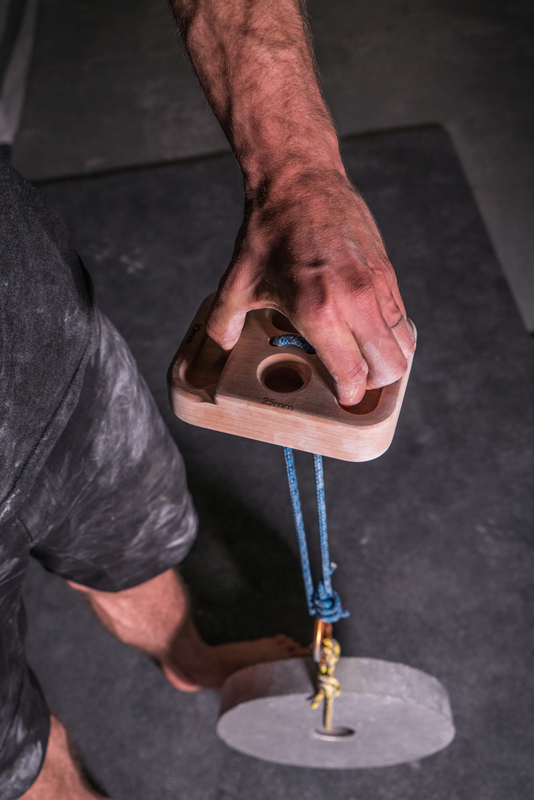 Hang from a sturdy object, pull against your foot, exercise band, or a stationary object to get your fingers primed for difficult climbing. 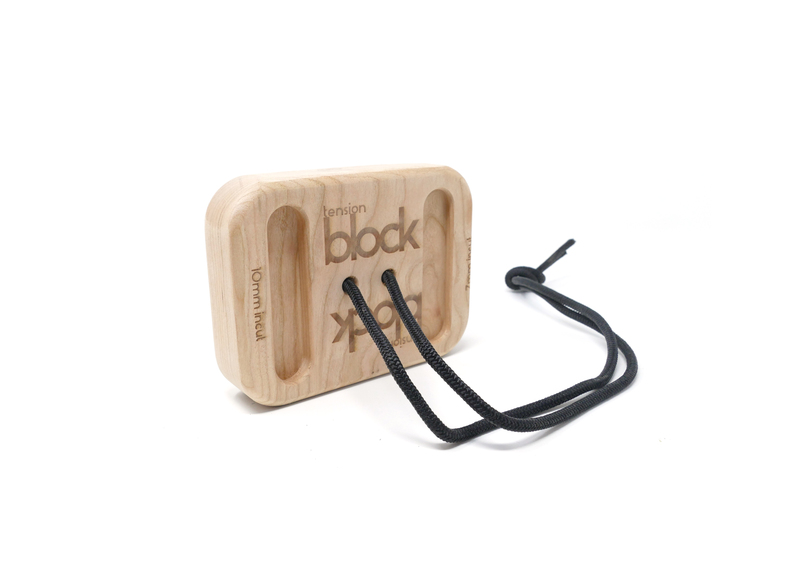 Under the oversight of a healthcare professional, The Block can be used to rehab and train around finger injuries. 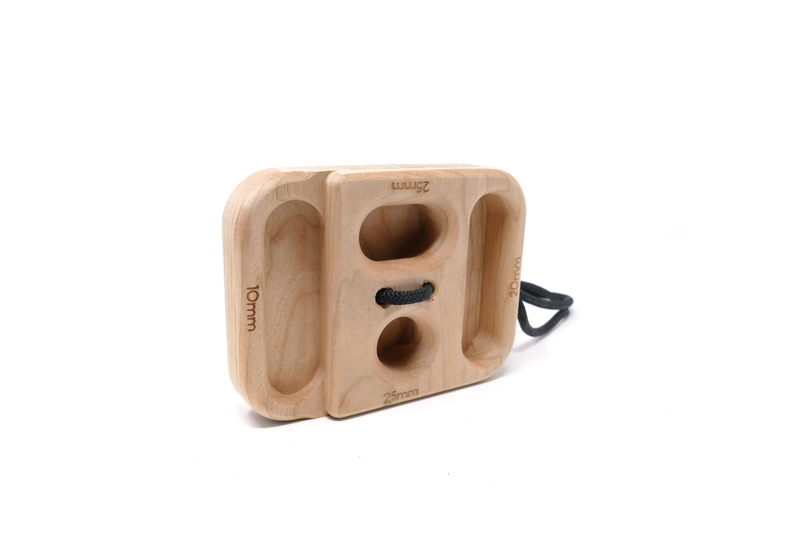 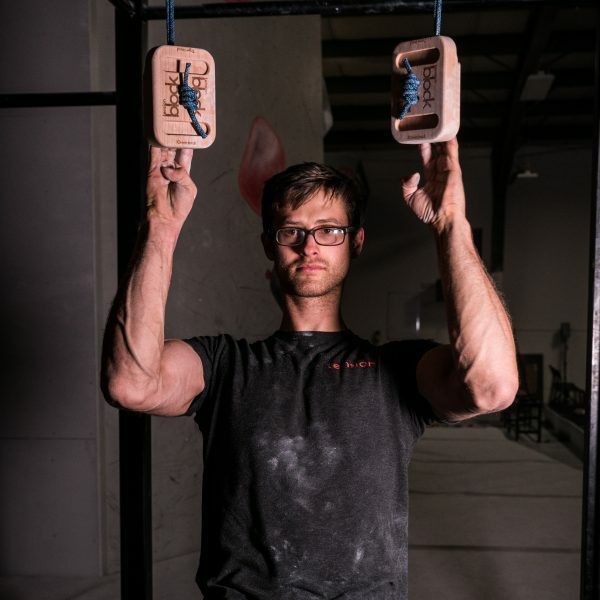 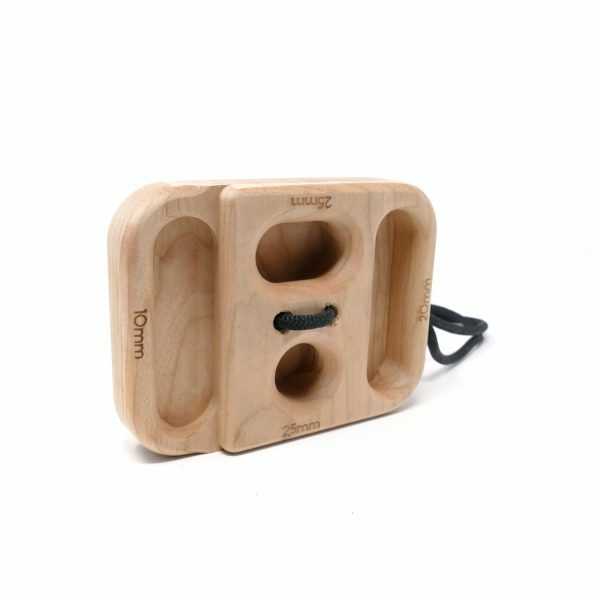 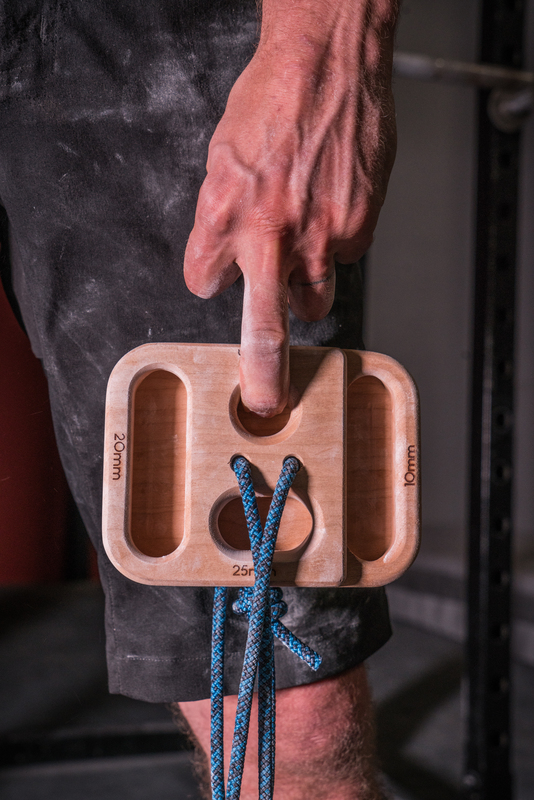 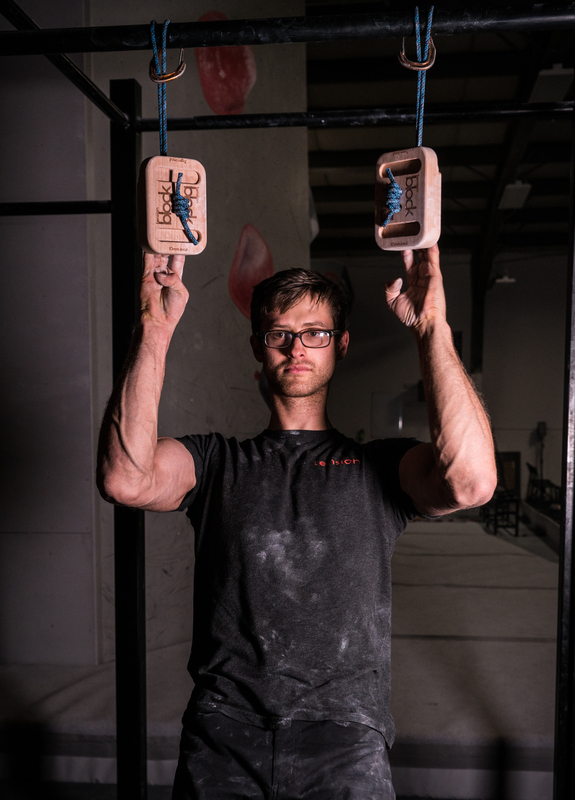 It can also be used to keep fingers in top shape when other factors may prevent the use of a traditional hangboard. 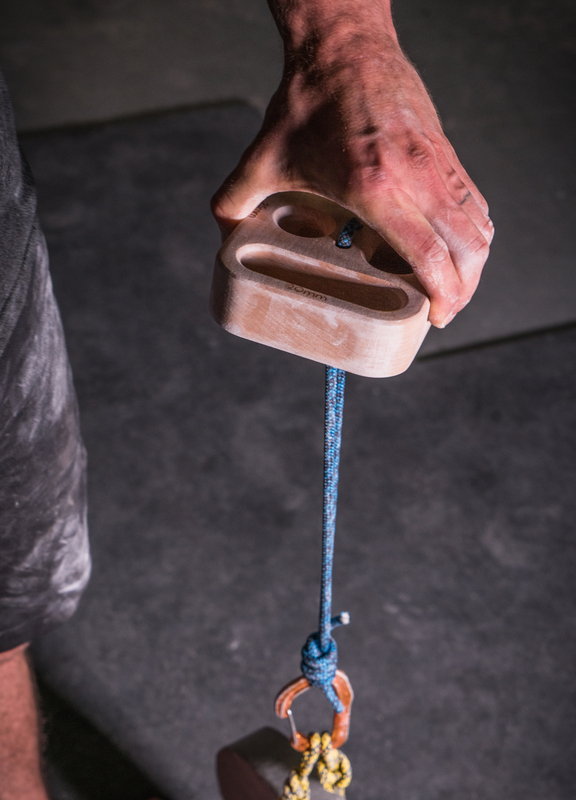 The Block includes 8 standard grip configurations with many more possible configurations. 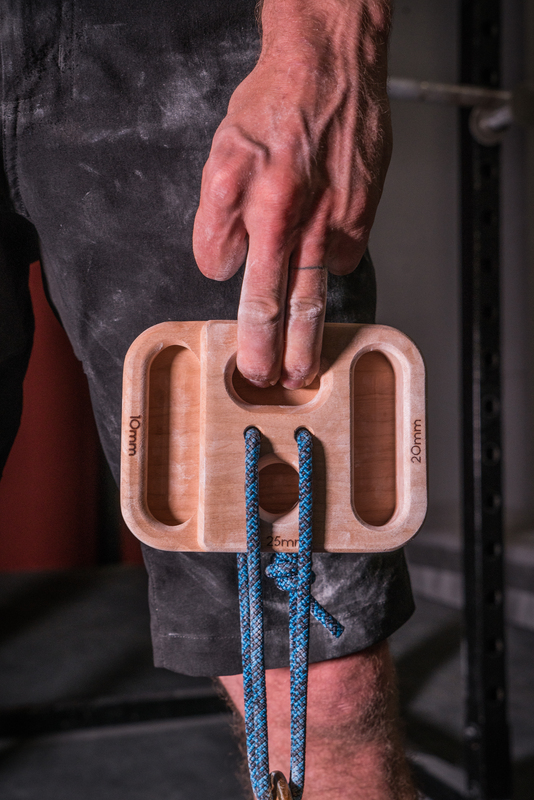 No wrenches required! 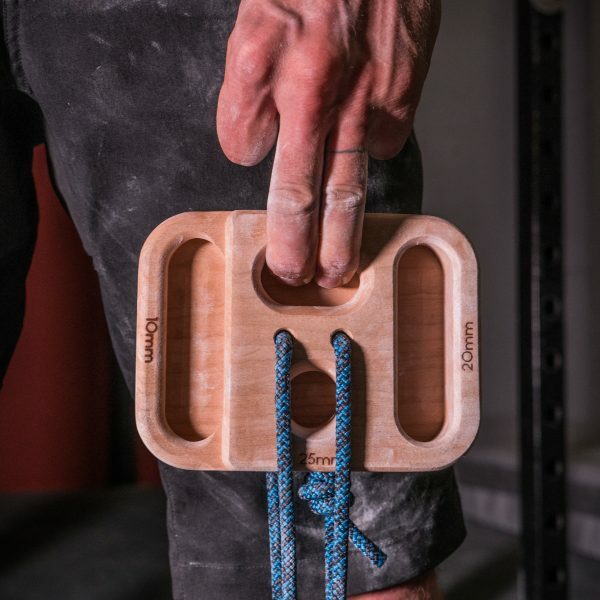 All grip positions on The Block are not only accessible by simple rotation, each edge and pocket can be made incut, flat, or sloped by attaching The Block by either one or both ends of the 6mm cord (included).